Suitable from birth, 0+ Months. 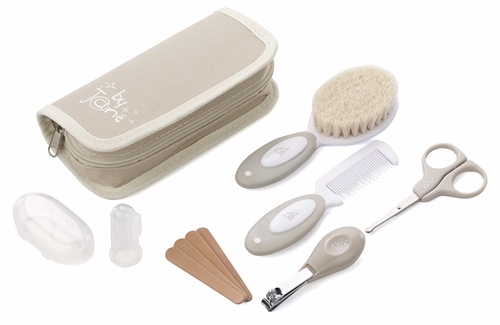 Soft brush with natural bristles for baby’s delicate skin. Pair of safety safety scissors, with rounded tips.